The Dansko Black Metallic Suede from the Ann collection. 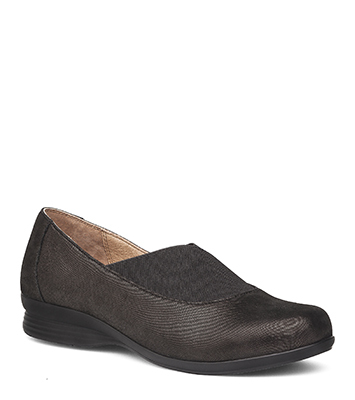 Full of extraordinary style, this versatile flat tells a different leather story across its color spectrum. A solid black gore inset across the vamp supplies uncommon comfort and unexpected style.